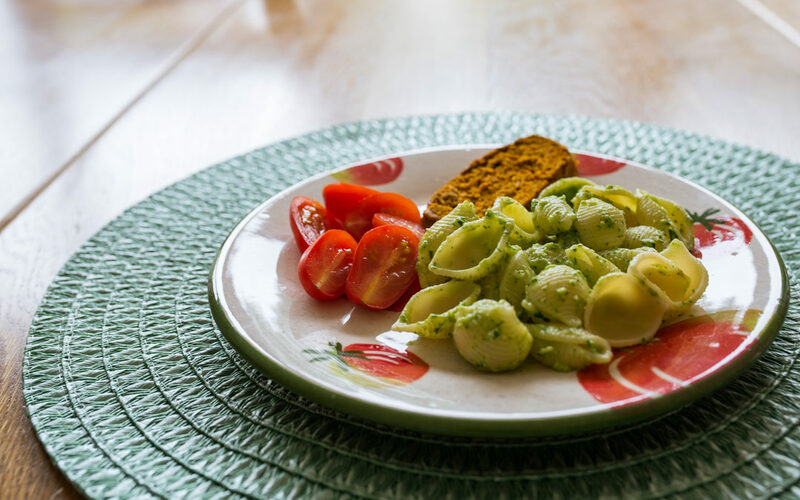 Pesto lasts well and can be made fairly quickly- it’s also easy to change ingredients around depending of what you have. Try making your own version with favourite herbs. 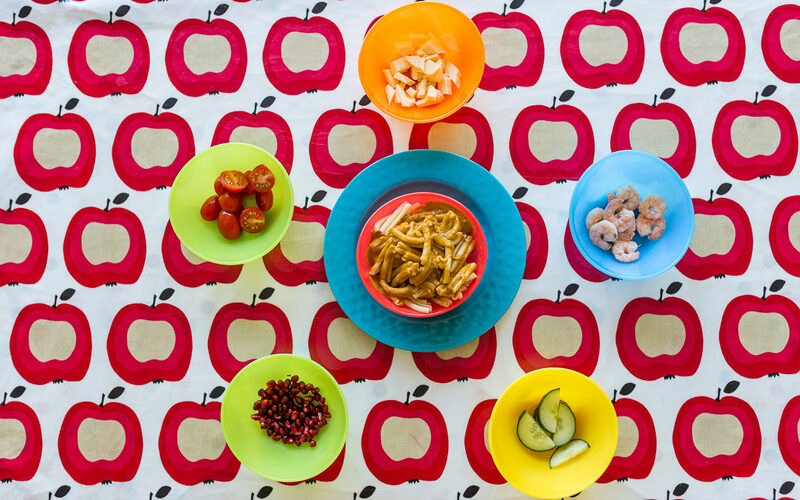 Letting children add their own toppings is a great way to get them eating and thinking about combining foods. 3 mint leaves or 1 tablespoon of dried mint. Put everything in a food processor and mix until smooth. If it is too thick add a little water and use a spoon to scoop around the edges before mixing again. Serve with your favourite pasta with extra toppings to create the volcano effect. Store in a glass jar in the fridge for up to 2 weeks. This is a sweet sauce and goes well with chicken and duck. It’s a good starting point for fussy eaters. Add some chopped chilli for older children and adults. Don’t forget to remove the seeds and wash your hands before rubbing your eyes! half the juice of a lemon. Melt the butter in a small saucepan and add the crushed garlic, sizzle for about a minute then stir in the spinach and cook for another minute. Next add the mixture to a food processor with the rest of the ingredients and blitz until smooth. All my children love this: it’s their favourite and they ask for it all the time. What’s good about this sauce is that you can make it on the spot and stir it straight through some hot pasta. Add some shredded chicken or garlic prawns for a bigger meal. To roast the pepper and carrot-Preheat the oven to 220°C/200°C Fan/Gas 6. Cut the pepper in half and discard the stalk and seeds, chop the ends of the carrot, peel and halve. Place on a baking tray and roast for 30 minutes. Personally I don’t brush them peppers with oil, but you could. Cook the pasta according to the package instructions. Meanwhile, put all the other ingredients in a food processor and blitz until smooth. Drain the cooked pasta and stir the sauce through before serving and top. Adults may prefer to have their sauce heated first and for extra flavour to be added. Mixed herbs bump up the flavour, as do a few drops of tamari or chilli sauce. 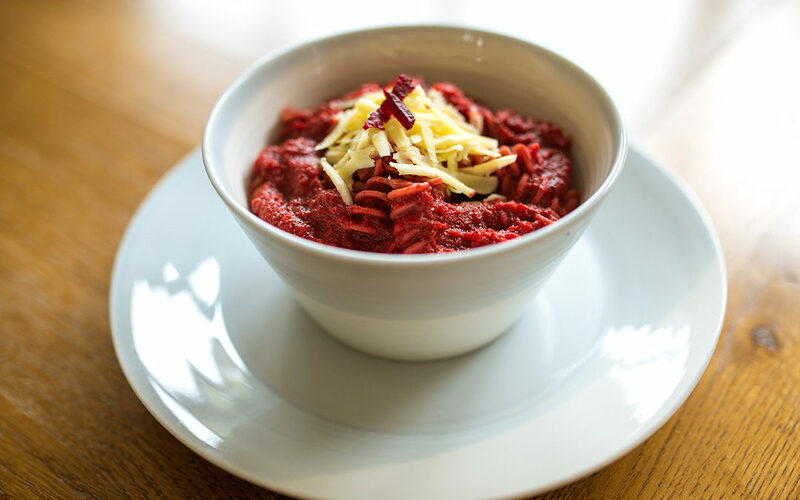 * Left over sauce keeps for up to 5 days in the fridge * Freezable for up to 6 months- but you must either blanch the carrot for 5 minutes or heat the sauce for 5 minutes if using it raw then leave to cool completely before freezing. *You can also store and freeze the pasta but for best results freeze the sauce separately and make the pasta fresh for when you need it.